In May 2012, we opened the first Star Wars Droid Factory experience at Disney’s Hollywood Studios. 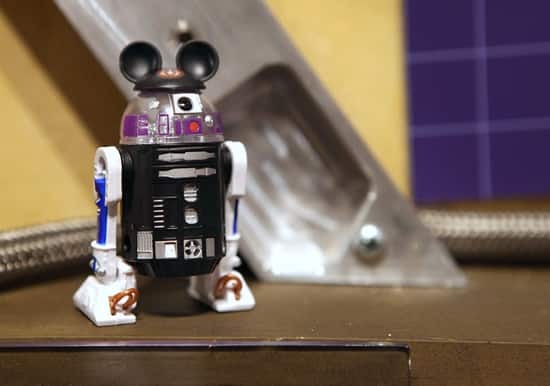 I’m delighted to announce that we’ve expanded the build-your-own droid experience to new locations at Disneyland park in California and Downtown Disney Marketplace in Florida. 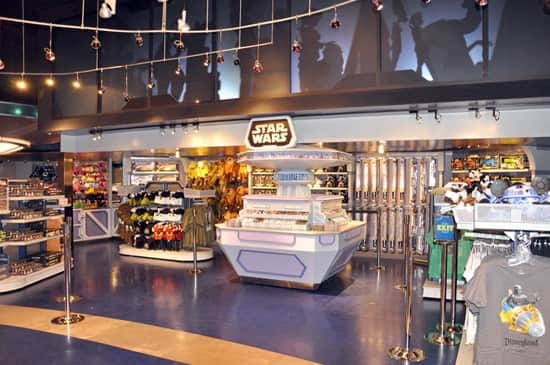 I spoke with toy merchandiser Cody Hampton at Disney Theme Park Merchandise about what’s in store for fans. A Droid Factory build station opened at Once Upon a Toy in the Downtown Disney Marketplace earlier this month. 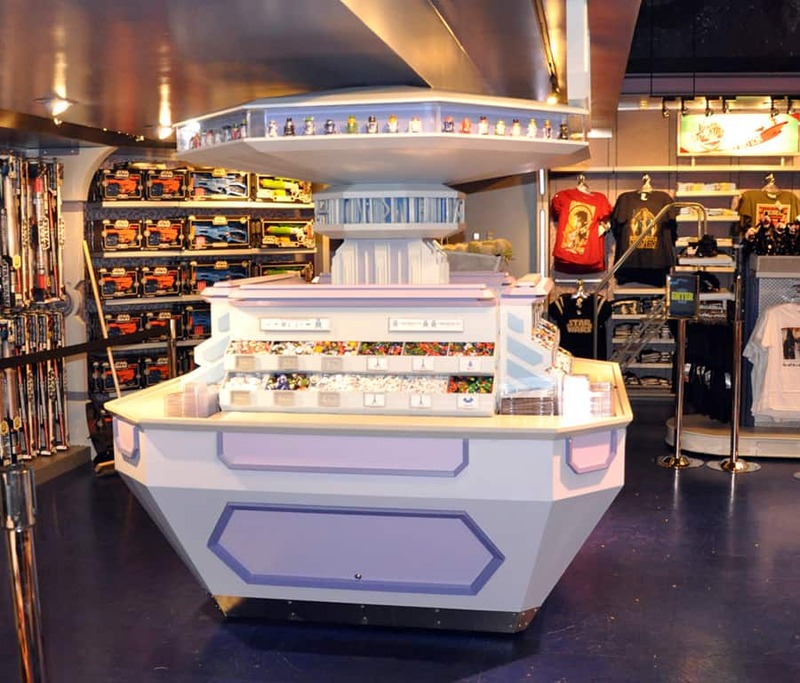 For California, the new build station can be found in The Star Trader in Tomorrowland at Disneyland park starting April 13. 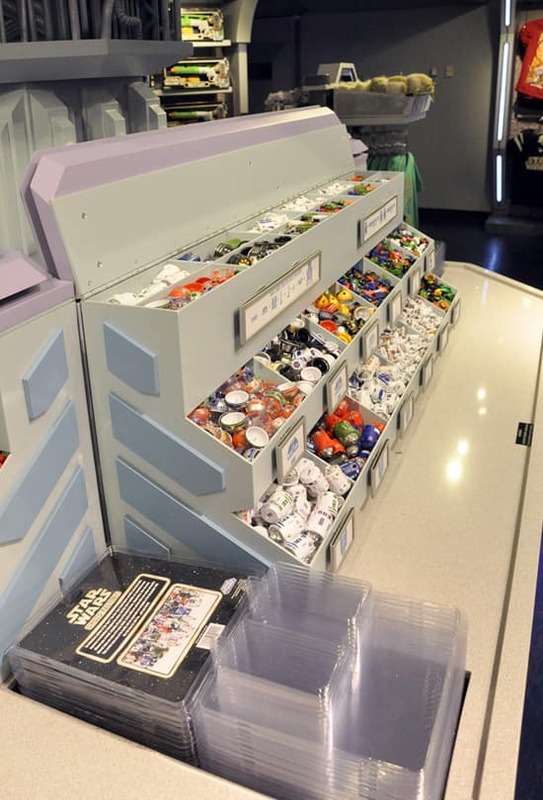 The new experiences will feature more build stations for guests to make their own droid action figures. They were designed as a square, which can accommodate up to four guests at one time (that’s two more build stations than the current version at Tatooine Traders in Disney’s Hollywood Studios). May the Force be with you … and your droids! I love that idea ! My son is a Star Wars fan. He has dozen of light sabers he made himself so he will be happy to create is own droïd. 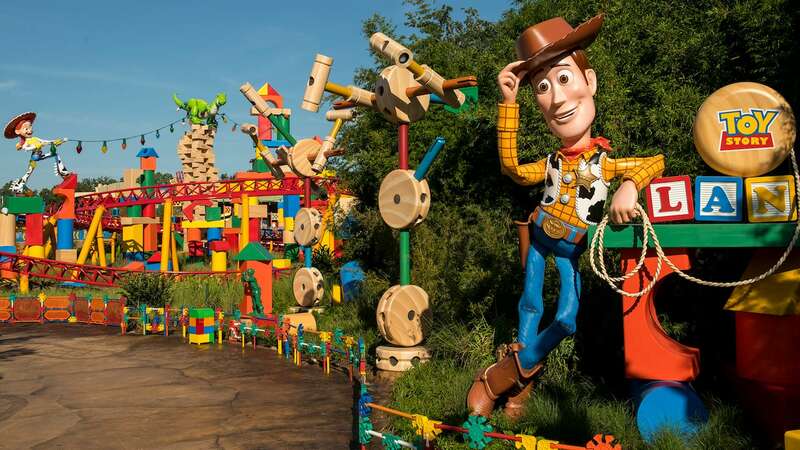 Do you think that this good idea could come here at Disneyland Paris ? Thank you to let me know. So pumped. 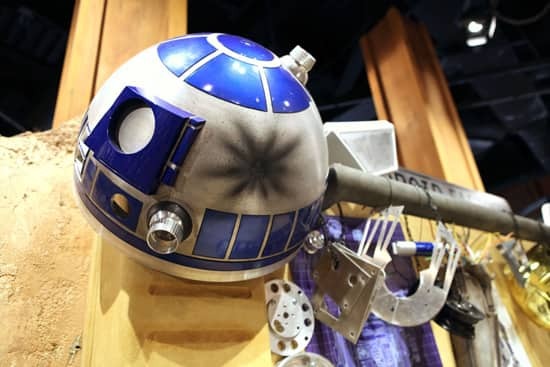 Huge Star Wars fan, I was there last year building my saber with my Ewok backpack and R2 ears on, so constructing a droid is a must this year!!! When are the rest of the celebrities for Star Wars Weekends 2013 going to be announced? I think this is awesome! I also wish they’d bring back the Mr. Potato Head parts to the Disneyland Resort. My girls are so disappointed that was lost with the overhaul of California Adventure. Fantastic, my two boys will be saving their spending money to purchase plenty on our trip in July. They are both majorly excited, thank you!! @Sarah – I hope you have a wonderful trip! My son just built two more droids on Saturday at the Once Upon a Toy location. He loves the experience! I am so excited about this, but disappointed I missed it by weeks! Looks like a trip back to Disneyland will happen sooner than I planned! This is so cool! I can’t wait to create my own in the future! 🙂 There’s even Mickey ears you can put on the droids?! Totally cool! Besides the Create your own Mr. Potato Head, there’s this! Nice addition DLR! @Jason – You’re welcome! Happy droid building! @Jessica – There are multi-colored ear hats, a Goofy hat, a pirate hat, a fedora and a Yoda ballcap. @Dolores: My cousin who’s at DL today said that it’s $12.95 for one droid or $19.95 for two. They get put in packages (one droid in a single package/two droids in a double package), so if you buy two, you cannot put them in the single package or you will be charged for the single price, if that makes sense. Hope your kids enjoy them. It would be really great to know the price ranges so I could budget this into our trip. With 4 little ones, I gotta prepare! My day has just been made, thank you! 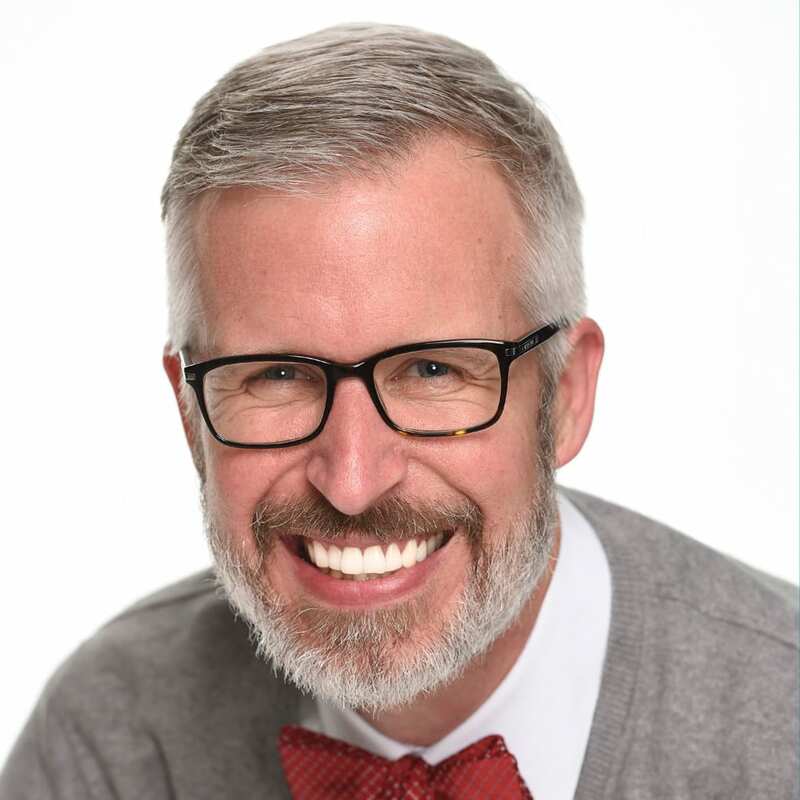 @Dinah – Happy to hear! And thanks for the reply about pricing. Very cool! 🙂 I’m looking forward to seeing this in person at Disneyland. I just hope that this doesn’t make the Star Trader too crowded, especially when guests are exiting the ride.